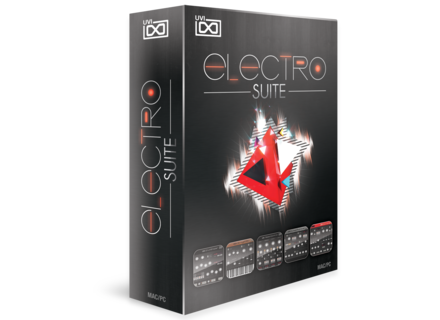 Electro Suite, Virtual Intrument Bundle from UVI. 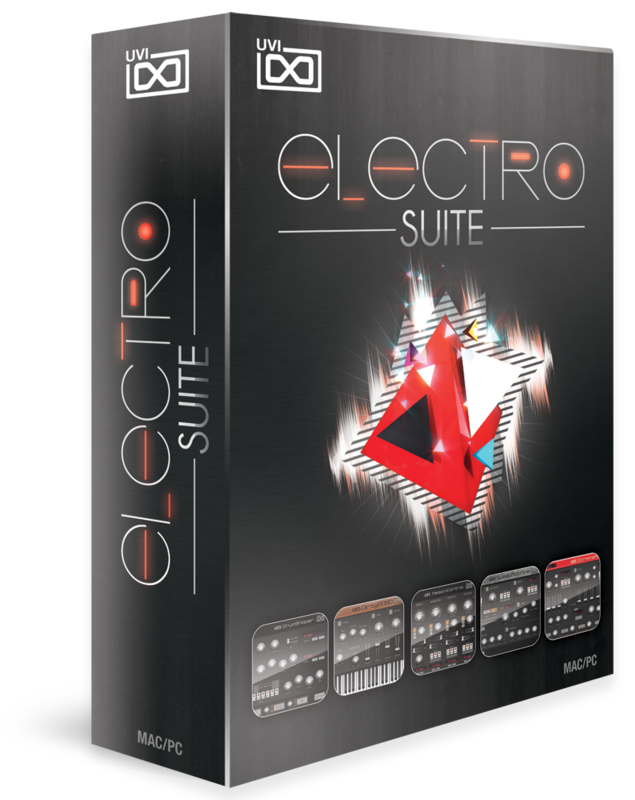 UVI Electro Suite is a compilation of instruments and a sound library featuring construction kits, loops and single elements. The collection is dedicated to Electronic Dance Music. It contains five instruments and tools. • create a pattern while shaping sounds. Pick loops from the construction kits to mix and match the sounds together. Hybrid and Dirty: a monophonic synth. A tool for noise sweeps creation. Check out blog.uvi.net/sounds-instruments/uvi-electro-suite for more details. Sound Magic Updates Neo EQ to v1.2 Neo EQ has been updated to v1.2. Trace Elliot on AmpKit v1.3 The new version 1.3 of AmpKit makes Trace Elliot the first modern bass amplification system to be modeled for the iOS platform. Arturia Jupiter-8 v2.5 Arturia announces a major update to its classic synthesizer, the Jupiter-8V.